Howdy! You've found the LTP! This is our 63rd episode and it's big!!!! In this show, we are joined by our friend Corey (Jungle Cruiser) from the AllAboard Podcast! Together, we discuss our top 5 favorite things about Frontierland and also our top 3 least favorite things about it. There are no wrong answers here, but rather we just wanted to point out some things that you should not miss when you're visiting the park. But before that though, we have the news! 101 with Jes! is currently unavailable today. Please enjoy the magic of other LTP attractions! 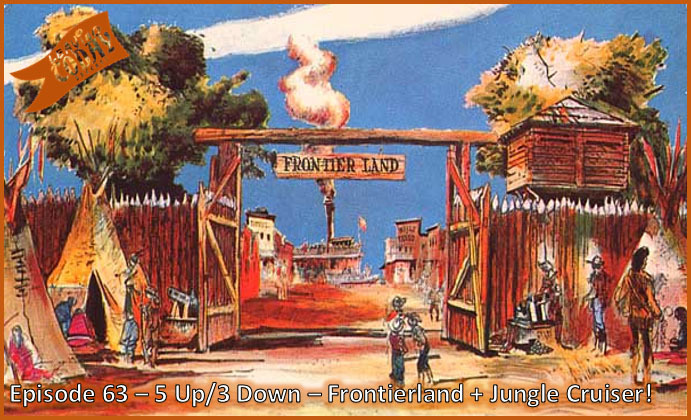 In this segment, we talk about our 5 favorite things about Frontierland as well as 3 least favorite things about it. We our joined by our friend Corey (Jungle Cruiser) from the AllAboard Podcast! There are no wrong answers here, just our thoughts about things you should definitely check out and experience and a few things that you should avoid.